(1) The business relationship between Verlag Franz, 8552 Eibiswald 220, Austria (hereinafter referred to as the "provider") and the party placing an order (hereinafter referred to as the "customer") is exclusively subject to the following general terms and conditions in the version in force at the time the order is placed. (2) These terms and conditions shall apply exclusively. Any differing, conflicting, or additional customer terms are not accepted unless otherwise expressly agreed in writing by the provider. (1) The purpose of this contract is the preparation and delivery of horoscopes. (2) The provider creates horoscopes in digital form and delivers them to customers. (3) A horoscope serves as a guide. Customers are solely responsible for how they use/respond to these predictions. Astrological horoscopes make statements based on the interpretation of astronomical events and constellations of the stars. Their truthfulness cannot be proven empirically. It is therefore an entertainment product and no guarantee of its truthfulness can be given. It is up to each person to judge the quality of the horoscope. (4) The horoscopes range from 10 to 150 pages in length, depending on the analysis selected. The scope depends on the date of birth and the type of horoscope and can therefore vary. The horoscopes are created individually and are personally based on customer data. An important factor for the accuracy of a birth chart is precise knowledge of the birth time (+/- 5 minutes). The more exactly this time is known to the provider, the more precise the interpretations. (1) The product descriptions contained on the provider's website do not constitute binding offers on the part of the provider, but instead serve as the basis for customers to submit binding offers. (2) Customers can submit offers via the online order form integrated into the provider website. Customers may initially place the products in the virtual shopping cart without any obligation and change their cart before checking out. By clicking Buy Now, customers are making a binding offer to purchase the goods contained in the cart. (3) The receipt of the order will be confirmed immediately after it is sent. A contract is established only when the provider sends an order confirmation by e-mail or sends the goods/services ordered. (4) A binding contract may already exist: If you have chosen to pay through PayPal. The contract is established once your PayPal payment is confirmed. If you have chosen to pay through SOFORT Überweisung. The contract is established once payment instruction is confirmed by SOFORT GmbH. (4) Contracts are established only in English. (1) All prices are final prices including the applicable statutory value added tax. (2) The prices valid at the time of the order shall apply. Advance payment: If you choose to pay in advance, we will supply our bank details in the order confirmation and the goods will be delivered after receipt of payment. Credit card: Buyers can pay directly during the order process by entering their credit card details. SEPA direct debit: If the SEPA Direct Debit payment method is selected, the invoice amount is due for payment after a SEPA direct debit mandate has been issued, but not before expiry of the advance notice period. The debit will take place when the ordered good/service is sent by the provider, but not before the expiry of the advance notice period. If the direct debit is not honored due to insufficient account funds or because incorrect bank details were provided or the customer blocks the direct debit without cause, the customer must bear the fees charged by the bank for the rejected transaction. The seller reserves the right to run a credit check of any buyer who selects payment by SEPA direct debit and to decline this payment method based on the results. PayPal: Customers may pay the invoice via the online provider PayPal. They must first register with PayPal or otherwise login to their existing account and confirm the payment. The payment will be processed by PayPal (Europe) S.à r.l. et Cie, S.C.A., 22-24 Boulevard Royal, 2449 Luxembourg, Luxembourg. (1) The provider offers electronic delivery. (2) Electronic delivery takes the form of a file in pdf format. This file can be opened with the free Adobe Acrobat Reader ( https://get.adobe.com/reader/). After the order has been completed, customers will receive an e-mail with the horoscopes attached. 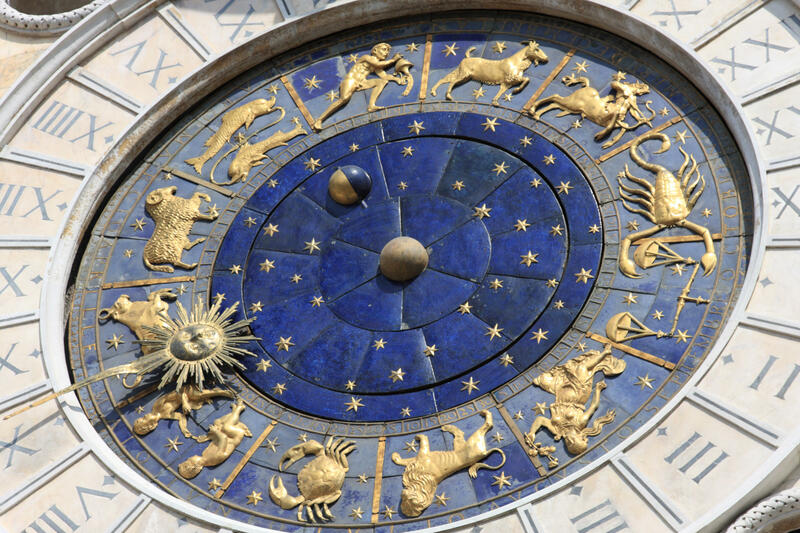 The electronic delivery of the horoscopes will take place after receipt of payment, usually within one hour, but no later than within one working day. No fees are charged for electronic delivery. (1) Unless otherwise stated in the description on the provider's website, the provider is granting customers a non-exclusive, unlimited right to use the content provided for their personal purposes. (2) A disclosure or sharing of the content to third parties or the creation of copies for third parties beyond the aforementioned uses is not permitted, unless otherwise agreed in writing by the provider. (3) The license is effective only when the customer has paid the balance due in full. The provider may consent to the provisional use of the content before this condition is met. No rights are transferred with such provisional permission. (1) Coupons issued free of charge by the provider as part of a promotional campaign and with a certain validity period and which cannot otherwise be purchased by customers (hereinafter referred to as "coupons") can only be redeemed in the provider's online shop before they expire. (2) Individual astrological analyses may be excluded from the promotion as indicated on the coupon. (3) Coupons can only by redeemed before completing checkout. Coupons will not be retrospectively applied. Coupons have no cash value. (4) Only one coupon may be redeemed per order. (5) The value of the order must be the minimum specified on the coupon. Any remaining credit will not be refunded by the provider. (6) The coupon value will not be refunded if the customer cancels the order paid in full or in part with the coupon. We reserve the right to inform our customers about offers and promotions in our shop. The e-mail address stored during the ordering process is used for this purpose. These customer e-mails can be canceled at any time. (1) The horoscopes are prepared personally and individually for each customer. The provider assumes no liability or responsibility for the decisions made by customers in reference to the horoscopes provided. (2) If the horoscope has been created with incorrect data despite the provider's due diligence, customers will receive a free replacement without delay. (1) Customer rights and claims for warranty are based on the statutory provisions. (2) Customers are asked to check the goods immediately on delivery for completeness and obvious defects and to inform the provider of any issues as quickly as possible. If the complaint is justified, missing parts of the order will be delivered subsequently or horoscopes with the corrected data will be sent. In the event of an effective cancelation, all goods, services, and payments received by either party must be returned. You are obliged to pay compensation for services provided up until the cancellation if you were notified of this legal consequence prior to submission of your contractual declaration and have expressly agreed that we should make delivery prior to the end of this statutory revocation period. If there is an obligation to pay compensation, this can lead to you still having to fulfil mandatory contractual payment obligations for the period up to the cancelation. Your right to revocation expires prematurely if the contract is fulfilled by both parties at your explicit request before you have exercised your right of revocation. Obligations for reimbursement of payments must be fulfilled within 30 days. For you, the period begins when you send your cancellation notice and, for us, upon receipt of the same. Exclusion of right of withdrawal: A right of revocation according to §312g (2) BGB does not apply to contracts for the delivery of goods which are not prefabricated and for the production of which an individual choice or decision by the consumer is required or which are clearly tailored to the personal needs of the consumer. This exclusion therefore applies to the individually created horoscopes offered by us. (1) If any individual provision of this contract is or should prove to be wholly or partially invalid, the remaining provisions shall remain unaffected. The statutory provisions shall apply in place of the invalid provision. (2) Unless expressly agreed otherwise, the seller's place of business is the place of performance. (3) If the customer is a merchant, a legal entity under public law, or a public special fund, the exclusive jurisdiction for all disputes arising directly or indirectly from the contractual relationship is the court with jurisdiction for the provider's registered office. However, the provider is also entitled to seek redress from customers at their general place of jurisdiction. This also applies if customers do not have a general place of jurisdiction in Austria, have moved their domicile or habitual residence outside Austria after conclusion of the contract, or their domicile or habitual residence is not known at the time of the action.